Warming up in holiday style! They say you lose most of your heat from your head, so it’s important to keep it covered if you’re trying to stay warm. 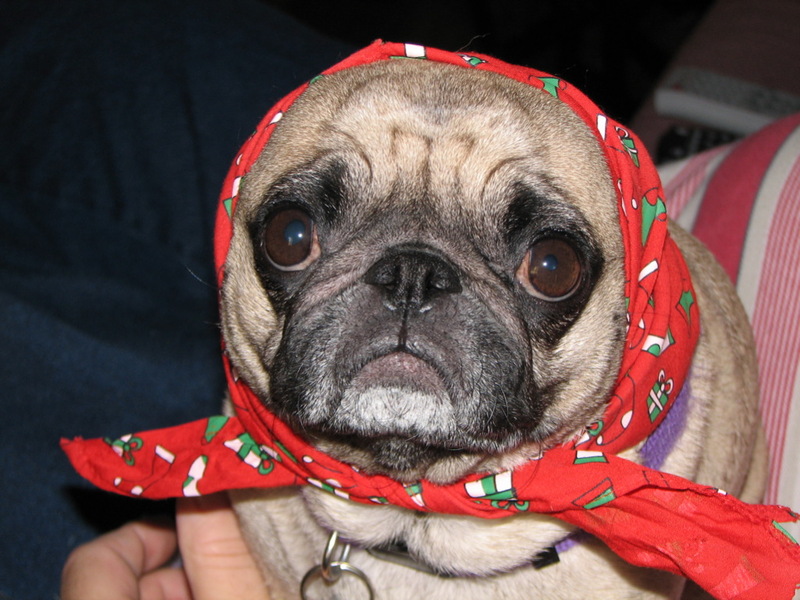 This pug seems to have it all figured out, and she is sporting a lovely holiday scarf to keep the cold off her cute little head.